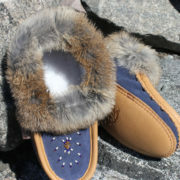 These ladies moccasins were crafted in Labrador by Inuit artisan Ann Shiwak. 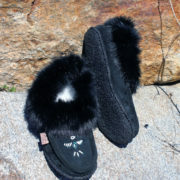 Lined with fleece, they are trimmed with luxurious seal fur. 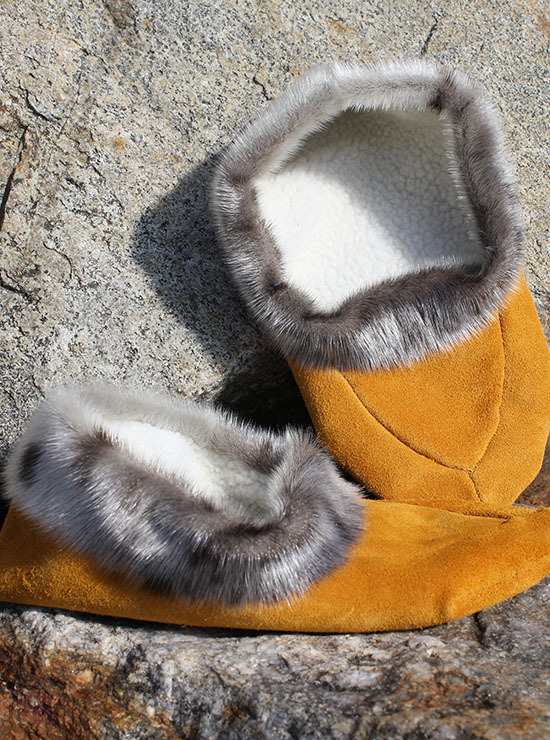 They fit Ladies Size 9 only. 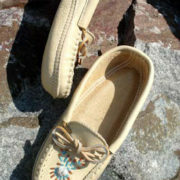 These fit large and wide; order a size down for the best fit.